An eccentric experience in ecological edutainment, Permaculture: A Rhymer's Manual is a musical exploration of David Holmgren's 12 principles of permaculture from his book 'Permaculture: Principles and Pathways Beyond Sustainability'. 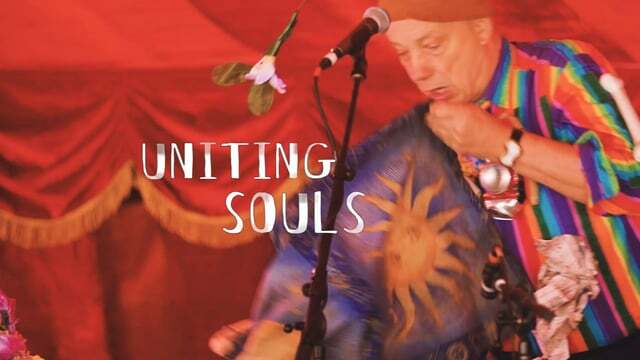 Presented by Charlie Mgee and Mal Webb of Formidable Vegetable Sound System on ukulele and trombone, this is one way to turn earthworms into earworms and commit the principles of regenerative design to memory through music, mnemonic and meme. Permaculture - a Rhymer's Manual uses the power of music, rhyme and humour to convey the permaculture principles in fresh ways to new crowds. Charlie Mgee is a talented composer and performer and the brains behind the electroswing permaculture ukulele project, Formidable Vegetable Sound System. Over the past couple of years he has designed a wholistic method of conscious education using song and dance that is both highly entertaining and true to the complex systems thinking that is Permaculture.